Dr. John Ross is officially retired as an Honorary Research Fellow, School of English & Media Studies (previously Senior Lecturer in English) at Massey University in Palmerston North, New Zealand. 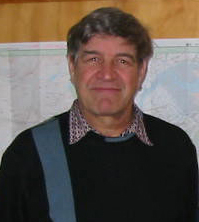 He is retired and is engaged in a variety of research and writing projects on book trade history and literary topics. He has recently collaborated in writing two author bibliographies -- one on George Eliot, and the other on Harold Pinter. His voluntary roles include Chairperson, Central Districts Branch, NZ Society of Authors (Pen). He has two daughters and (so far) two granddaughters. In April 2004, John was elected President of the New Zealand Branch of the Clan Chisholm Society.